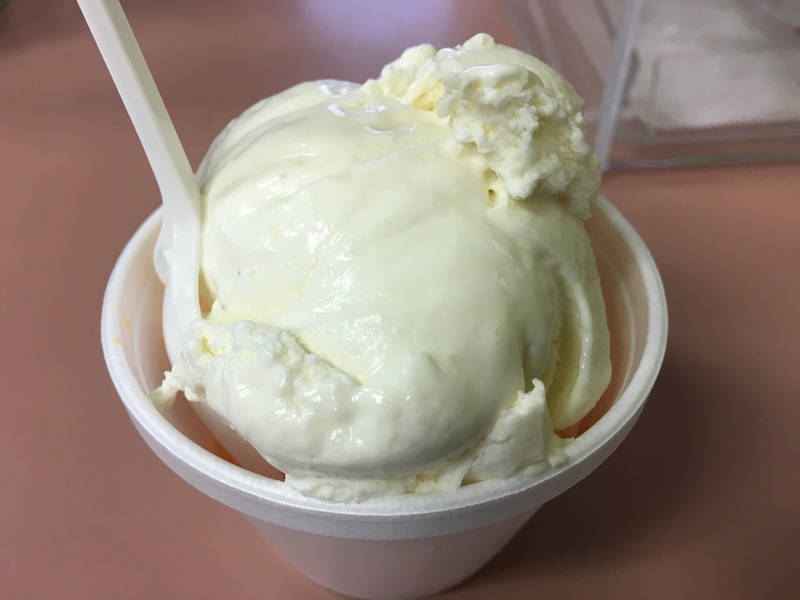 Being from New Hampshire, where homemade ice cream can be found almost everywhere, I have fairly high expectations for local ice cream. I’m not content with whatever the local, cheap premium offerings are. I like to taste the local flavor, you know? 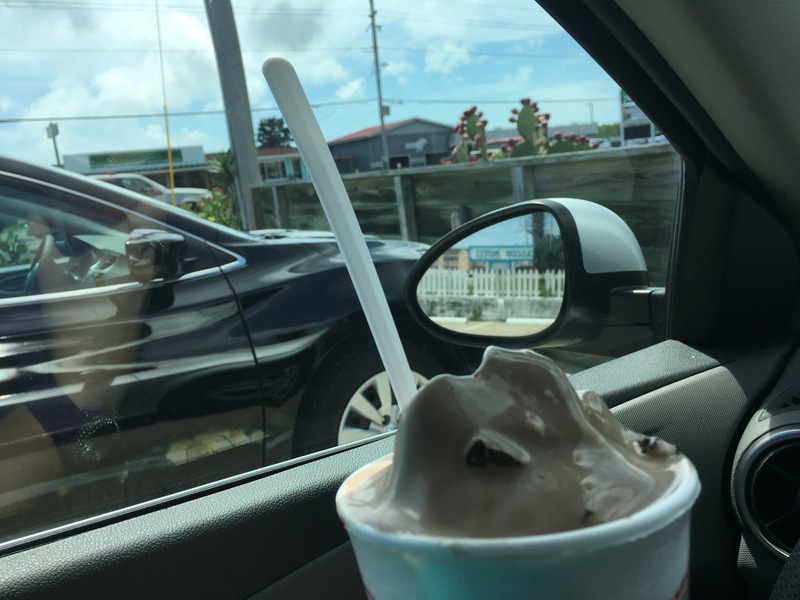 In touristy, vacation areas, ice cream places are everywhere, and that can make digging for the good stuff a real challenge. That’s especially true here in the Outer Banks, where most places don’t have a website and at best have an active Facebook page. 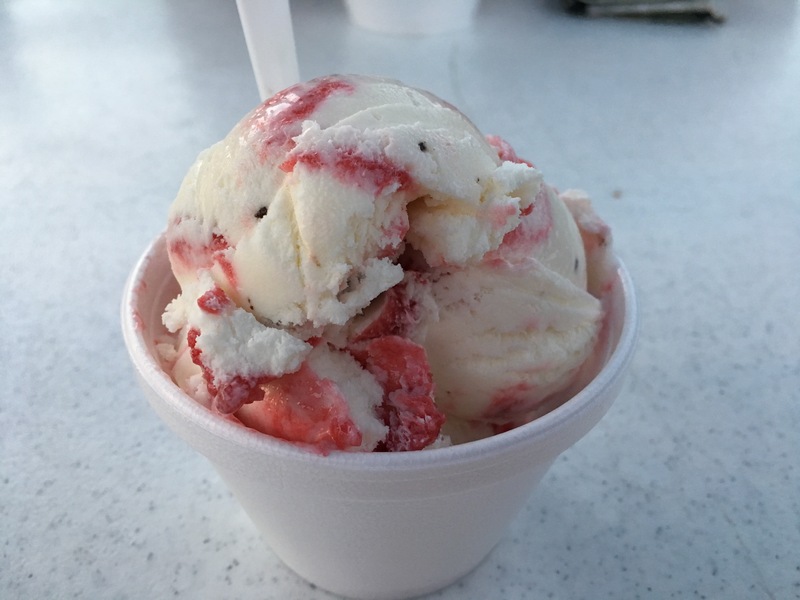 But we’ve done the hard work of sorting out the local offerings for you, so you can focus on enjoying your ice cream, and here is one of our favorites. 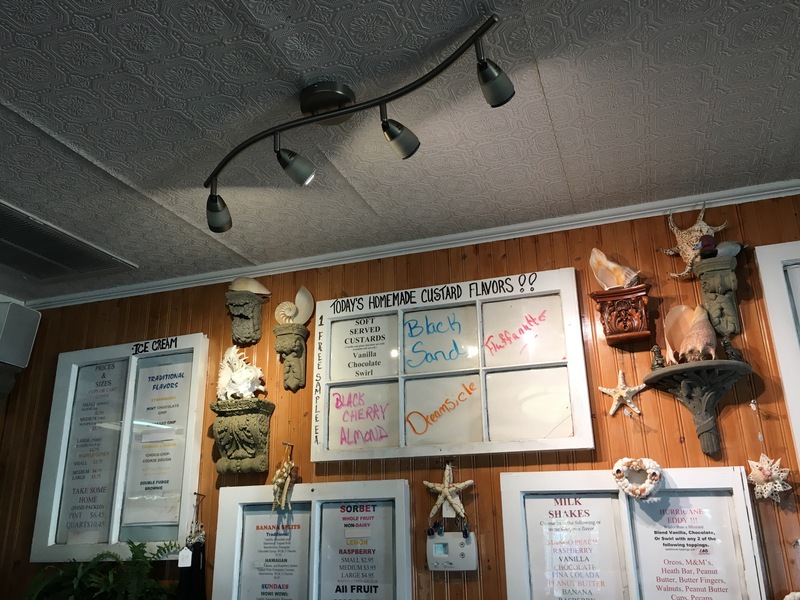 Scoops could easily get lost in the shuffle of touristy shops in Nags Head and Kill Devil Hills. But it shouldn’t – this place is special. 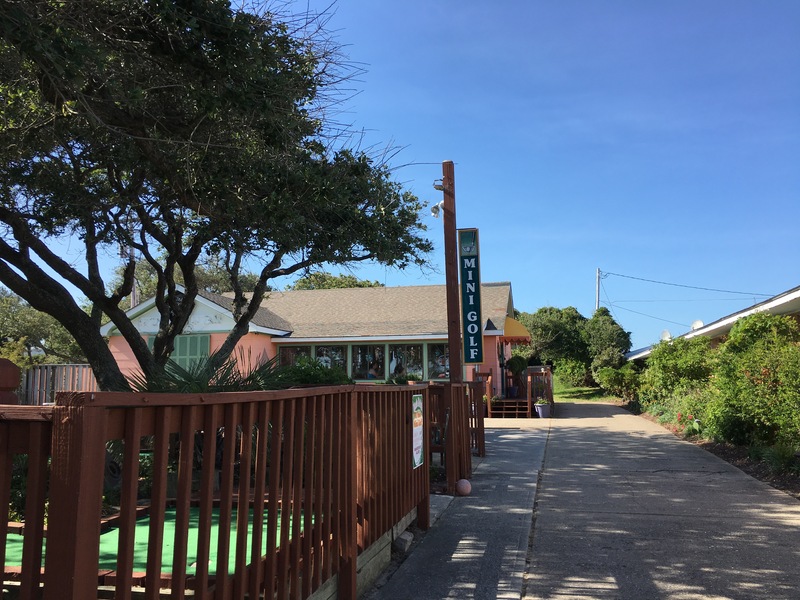 Their Nags Head location is in a small, two-story shopping plaza that includes Kitty Hawk Kites, a fun boutique, a fudgery and more. Their Kill Devil Hills location is a few miles north of that, on the opposite side of the street. They’re close enough to each other that we recommend visiting whichever one is on the more convenient side of the street. 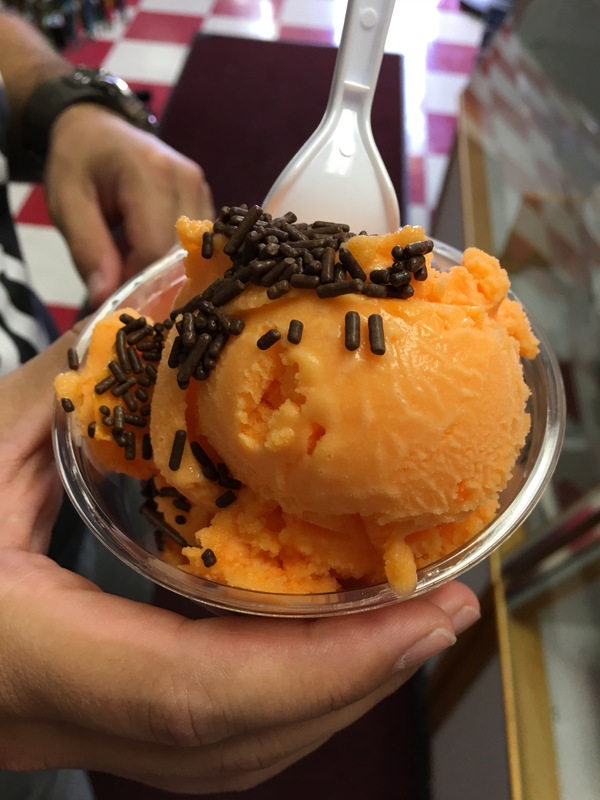 When we first visited Scoops, it was after trying out two other local, homemade ice cream offerings in the area. We hadn’t been super-impressed and weren’t expecting to be here. 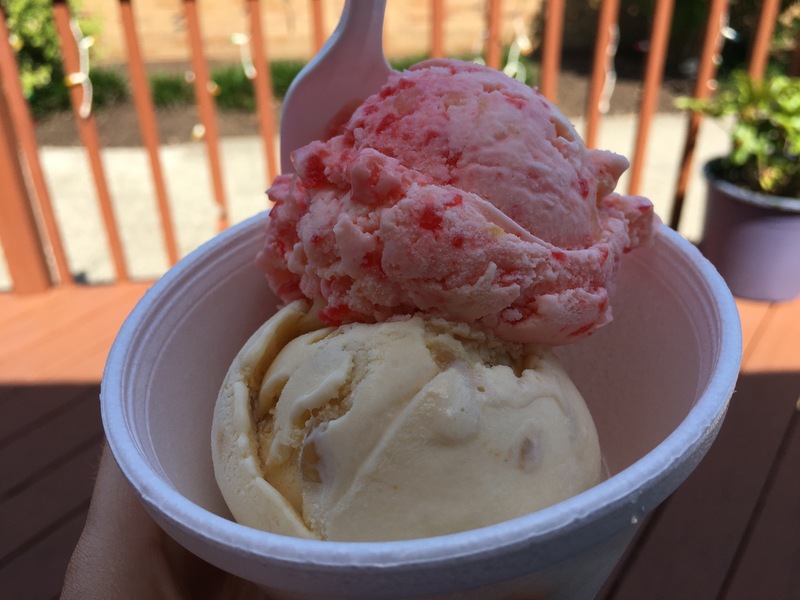 But lucky for us, Scoops is really worth a visit. Ignore the few non-homemade offerings in the case (it will be obvious) and stick with Scoops for some creamy ice cream in original flavors that are perfect for summer. They’re also excellent at recreating the flavor of particularly non-ice cream foods. Mandarin Chocolate Chip – A summer fun orange flavor with less sweet chocolate chips. 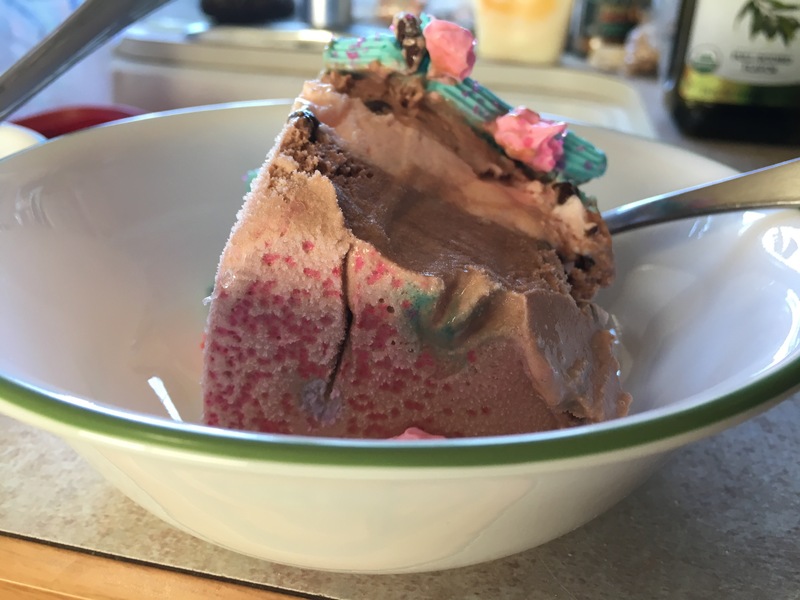 A much more upscale sherbet/chocolate jimmies/sprinkles combination! Beach Cooler – This is like a pina colada, but with banana instead of pineapple. 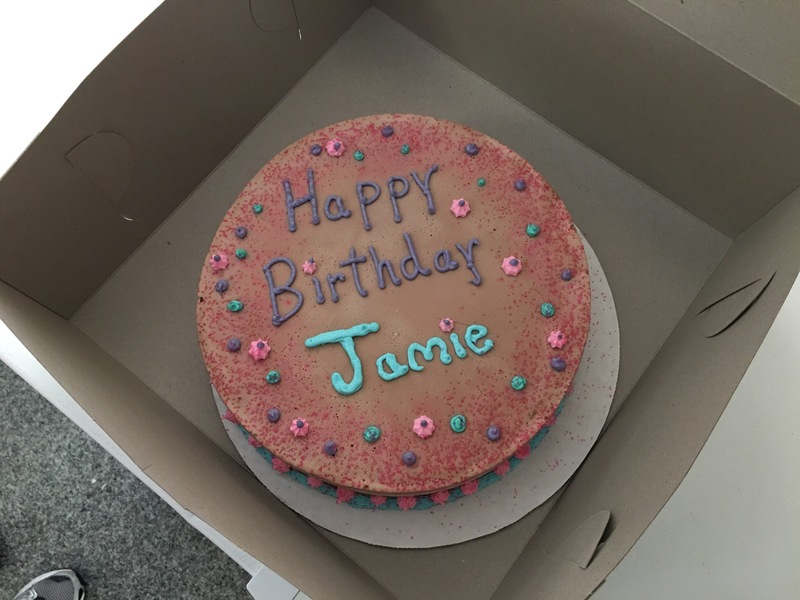 I loved the first bite, although I was less enthralled after that. The fluffy texture is great. 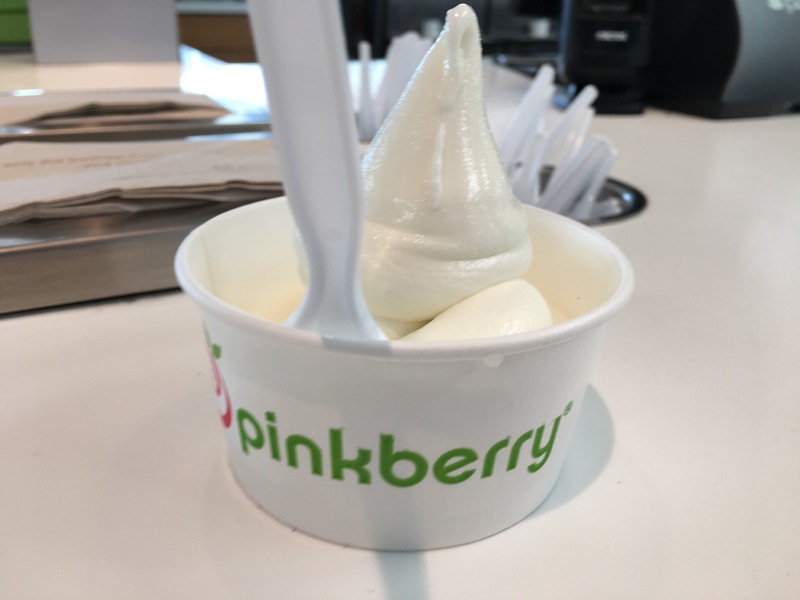 It reminds you of a delicious coconut beverage, and the texture is so fun that it kind of re-sold me as I ate more of it! Cantaloupe – The real fruit is subtle, and this is too! Not very sweet and tastes just like the real thing. It’s awesome, a perfect summer flavor. Chocolate – Expect a lighter chocolate flavor, super creamy and melt in your mouth delicious. 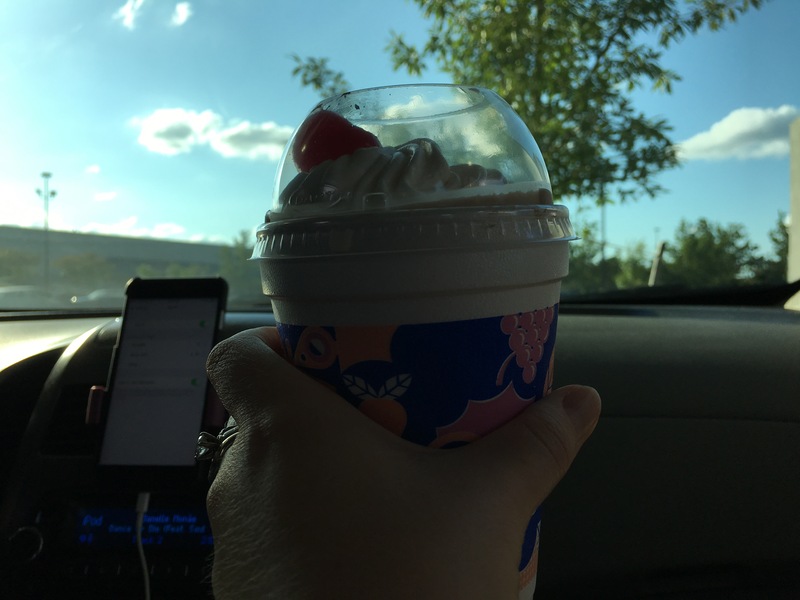 Butterfinger – So fun! It tastes just like the candy. Salted Caramel – This is pleasant, but not striking. 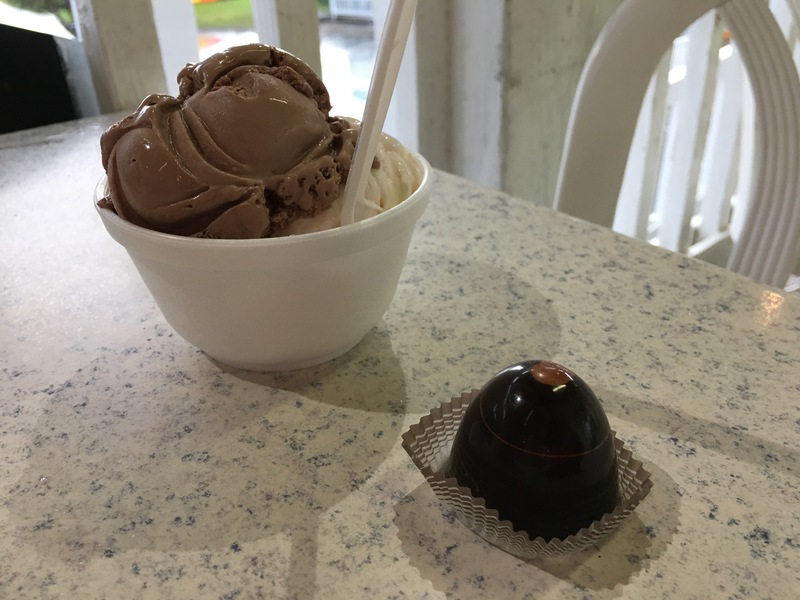 The consistency is similar to a cheap coffee ice cream. It reminded me of a cheap caramel candy. 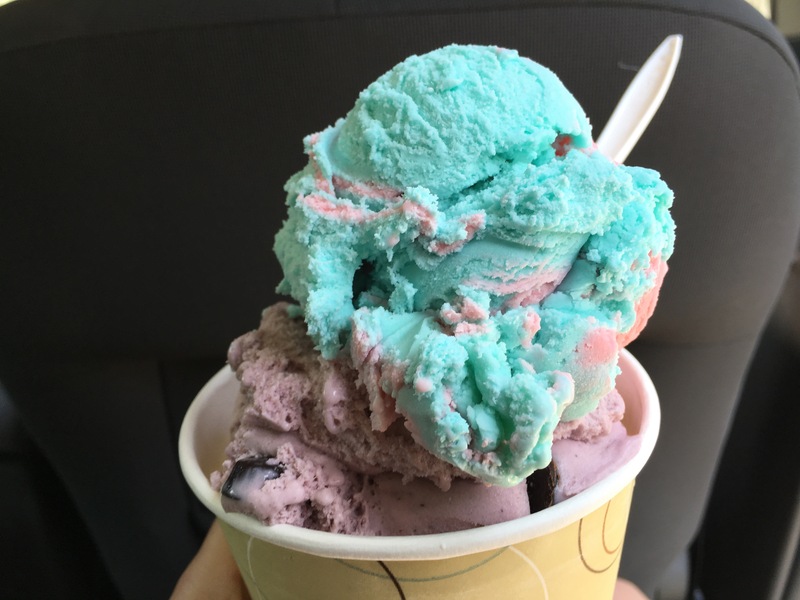 Cotton Candy – This one is highly recommended! It honestly tastes just like the real thing. If you like cotton candy, you need to experience this for yourself! 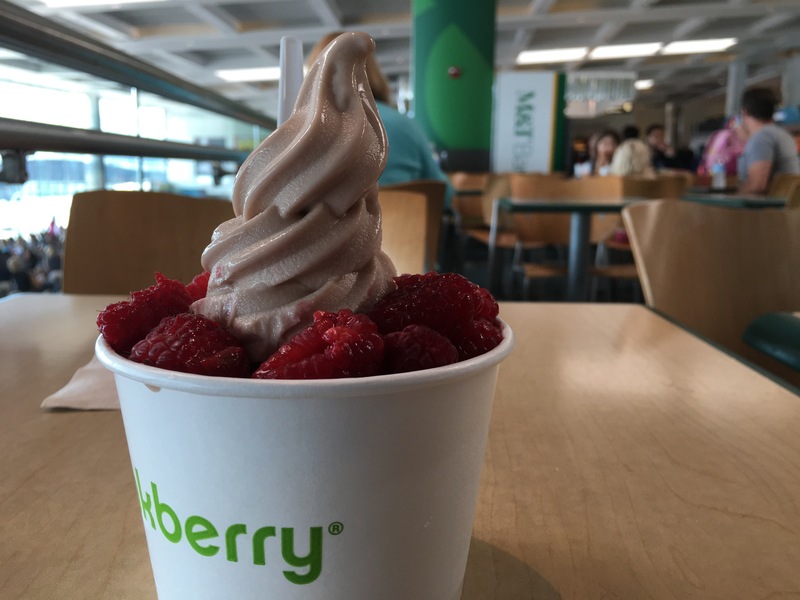 Mint Chocolate Chip – Charming, with good chocolate chips, but not revelatory. Strawberry Cheesecake – This has an excellent fruity base with a real creaminess to it, with excellent chunks of cheesecake. Heavenly Hash – Uses their already great chocolate base, so it’s delicious. Chocolate Brownie – Ross’ review is that this is the “same chocolate we know and love with chunks of moist, delicious brownie”. 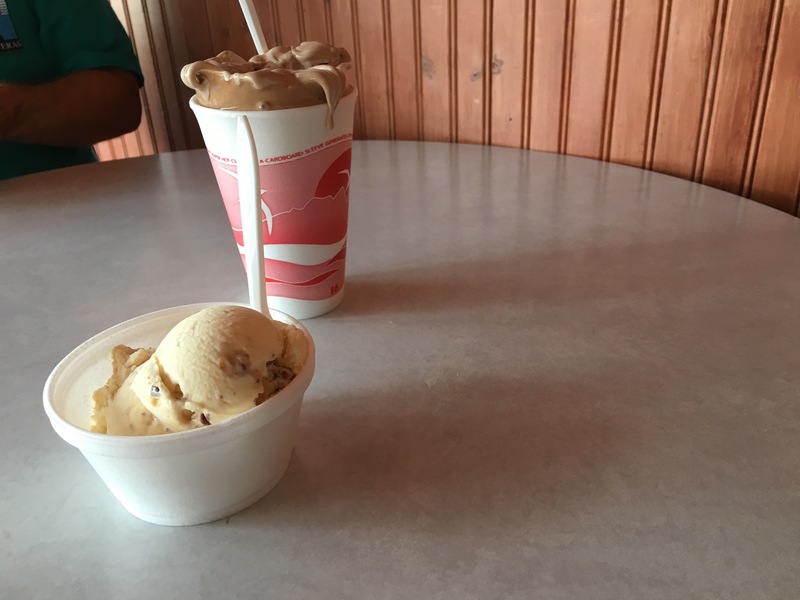 Butter Pecan – A light, sweet ice cream with a wonderful buttery aftertaste. Amaretto – Very good and tastes authentic. 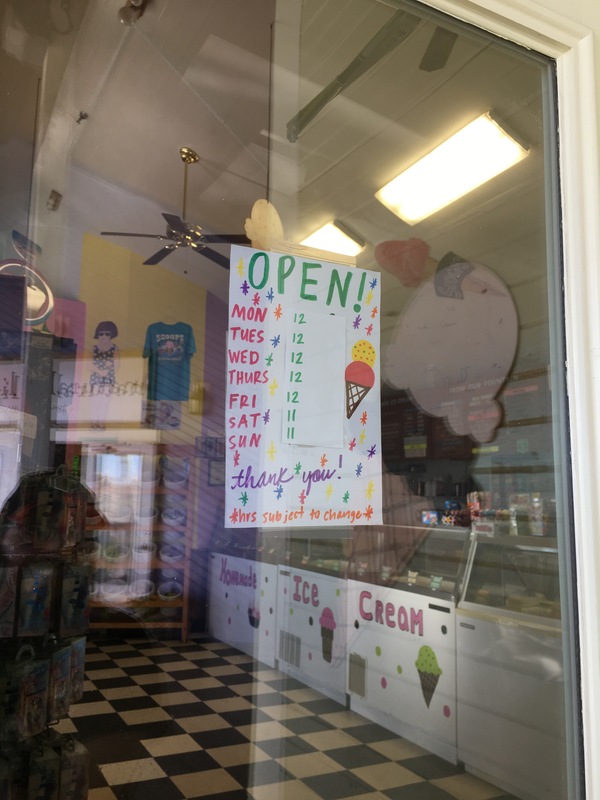 Scoops is one of two great options for ice cream on the Outer Banks. They’re reliably tasty, but they’re also extraordinarily friendly. 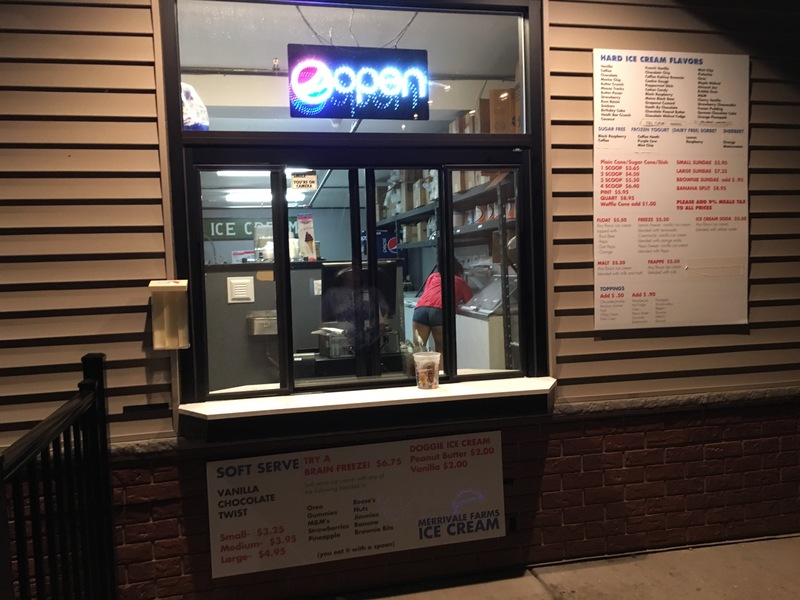 They’re one of the few places that encourage you to try whatever flavors you’d like, and they will combine flavors into a scoop too. And it’s very affordable! Their ice cream melts in your mouth and is never icy, and they make gorgeous ice cream cakes if you should need one. 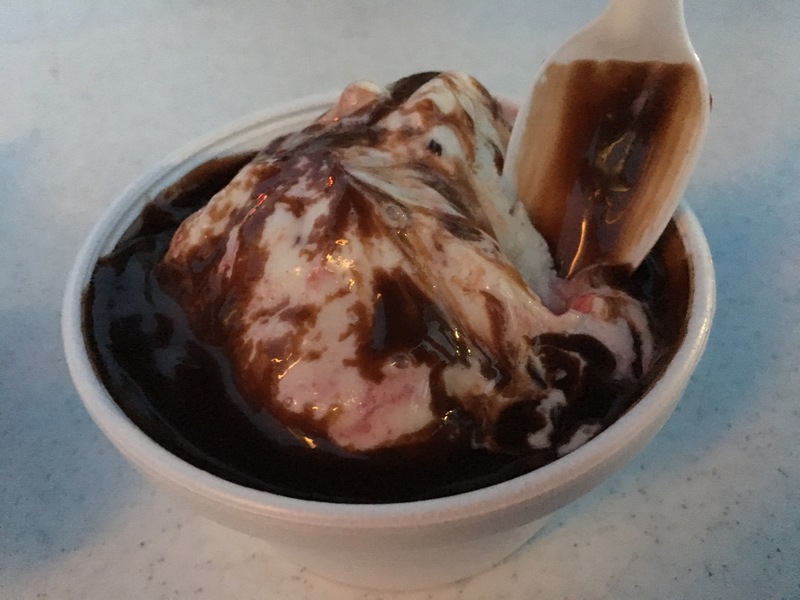 We recommend a side of hot fudge to put on top! They also carry some delightful candy, including locally made bacon truffles. You’ll want to try one – trust us on that. And we hear the Nags Head location has some fun live music during the summer. One thing to note? Everyone around here has flexible hours, depending on traffic and maybe their whim. So call ahead and be willing to go to the other location if one is closed. Less of an issue in the heart of the summer, but the sign says to be aware of this. 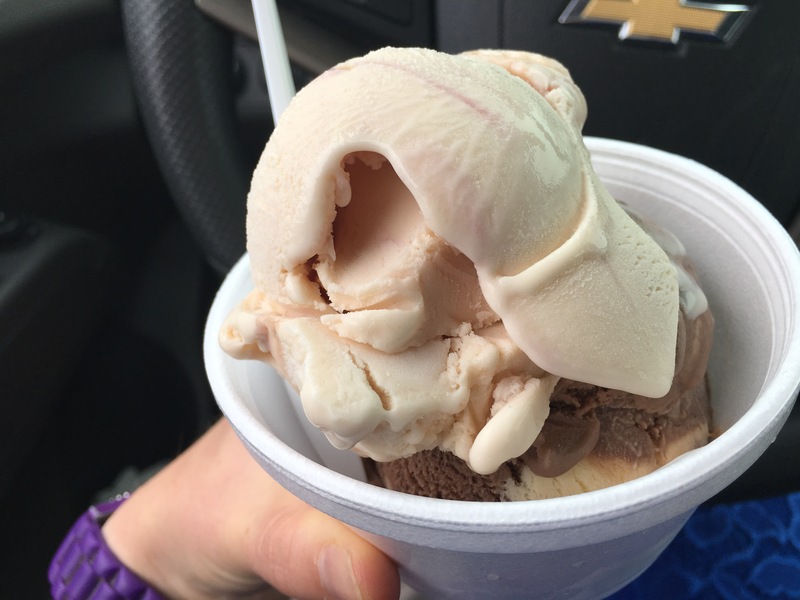 We love Scoops and if we are in the area, we always try to stop in for a scoop or two. 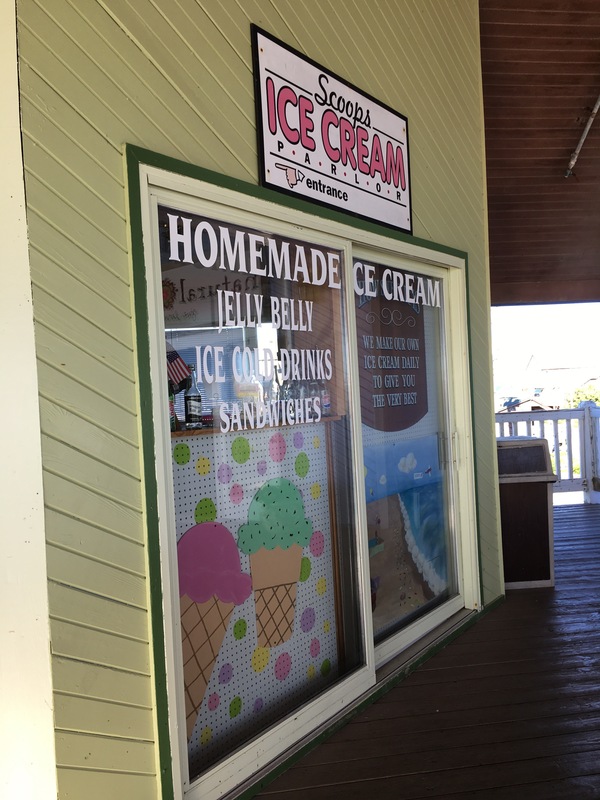 We’re very thankful for this local homemade ice cream option on the Outer Banks!